The idea was roundly ridiculed as a pipe dream but the small band of enthusiasts promoting the project was undaunted. The construction of Grand Coulee Dam and the Columbia Basin Project was transformational for this region and the country. The power created was desperately needed during World War II for aluminum production and for a certain secret project at Hanford. This progress came with significant environmental consequences, it would be fair to say. To bring the project to fruition, they had to battle it out with powerful interests in Spokane that were pushing the agenda of the Washington Water Power Company. For the next three decades, Rufus Woods championed the cause of the project. 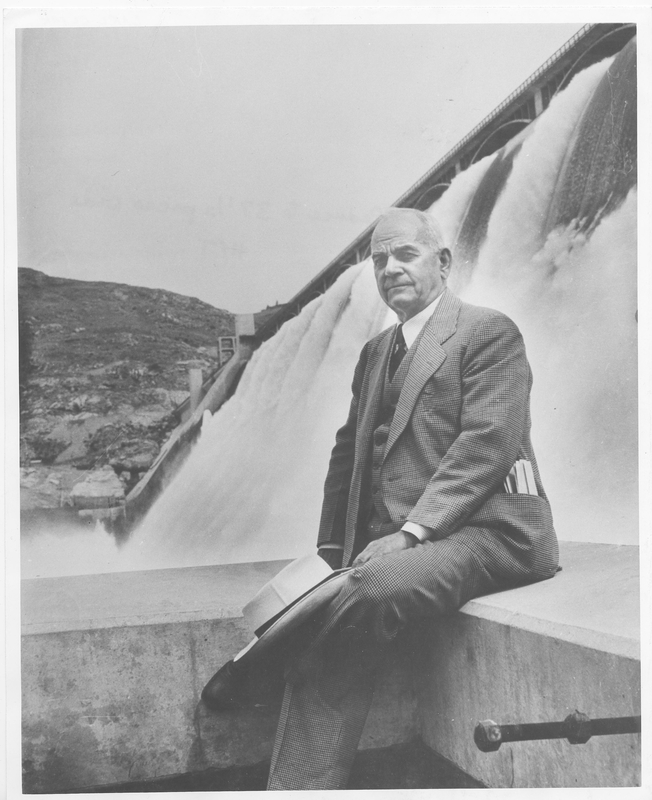 He never lived to see water delivered to the Columbia Basin, which is a good reminder that we ought to be working on important projects that we will never personally benefit from. A new set of challenges confronts us today and while it’s appropriate to celebrate the past, we need to look down the road 100 years and commit ourselves to efforts that will improve the quality of life for those who follow in our footsteps.